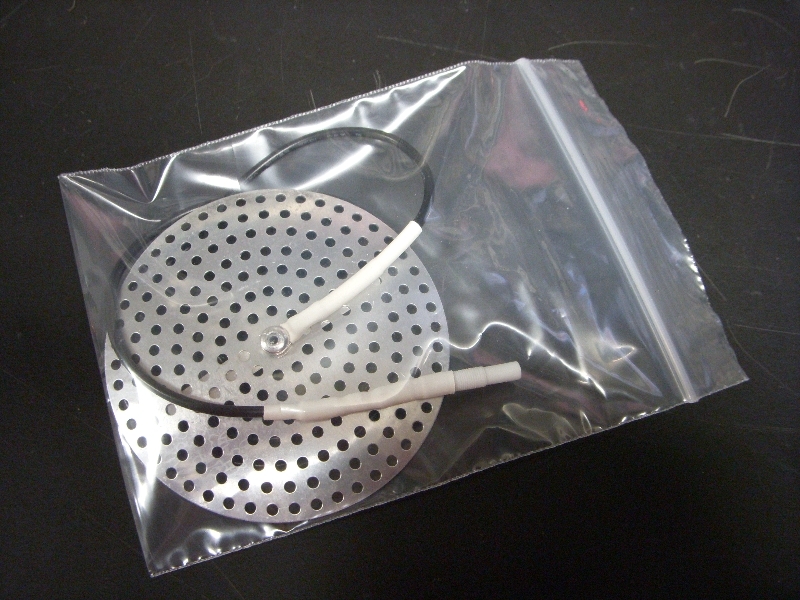 The Immersible Electrode was a frequently requested accessory for contact applications. 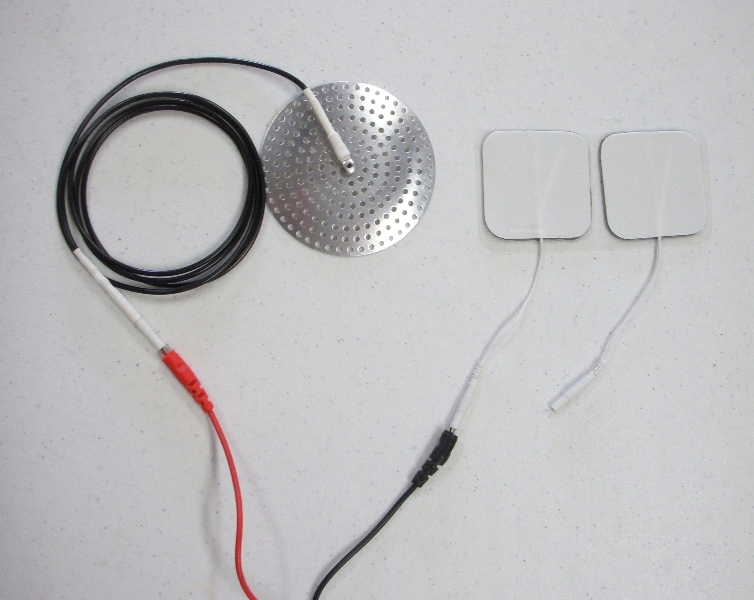 Although quite simple in principal, extensive consideration was given to design. 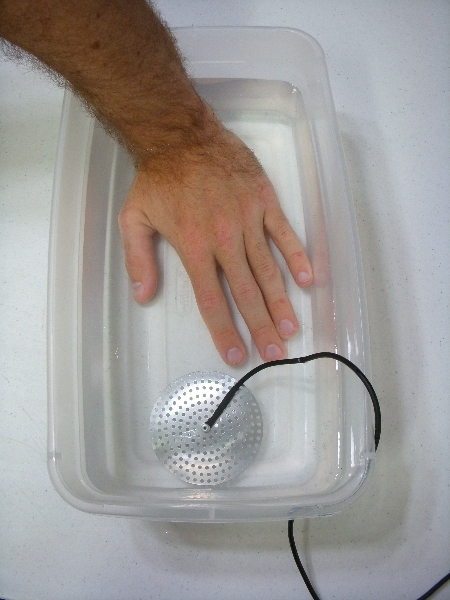 Considering the immersion environment (such as a foot bath) the entire disk is dropped into water. The convex/concave design coupled with extensive perforations allow not only free water flow. It is known electrons tend to travel/emit from edges and the extensive number of finished perforations provide the superior “edge area” conducive to the environment for which it was intended. 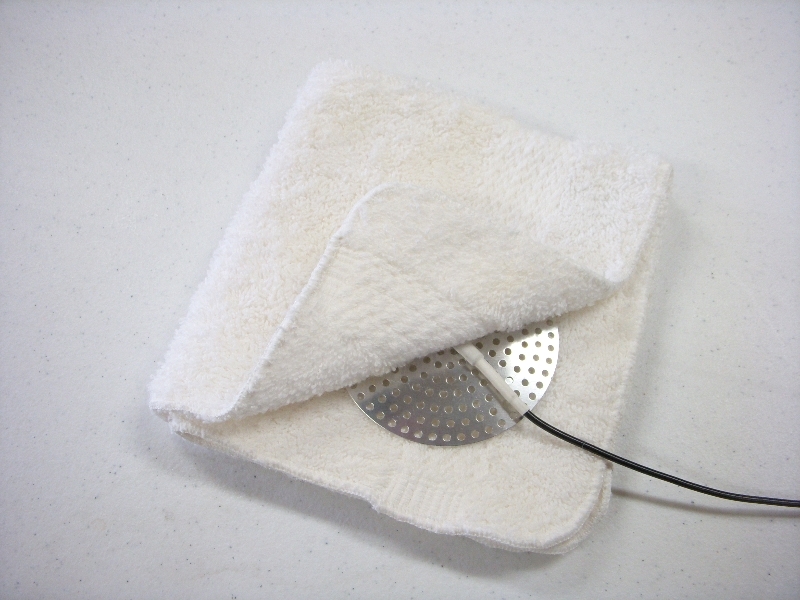 Alternately, this can also be utilized by the end user as a directly applied electrode when placed directly upon wound area, preferably sandwiched within a saturated* cotton cloth. 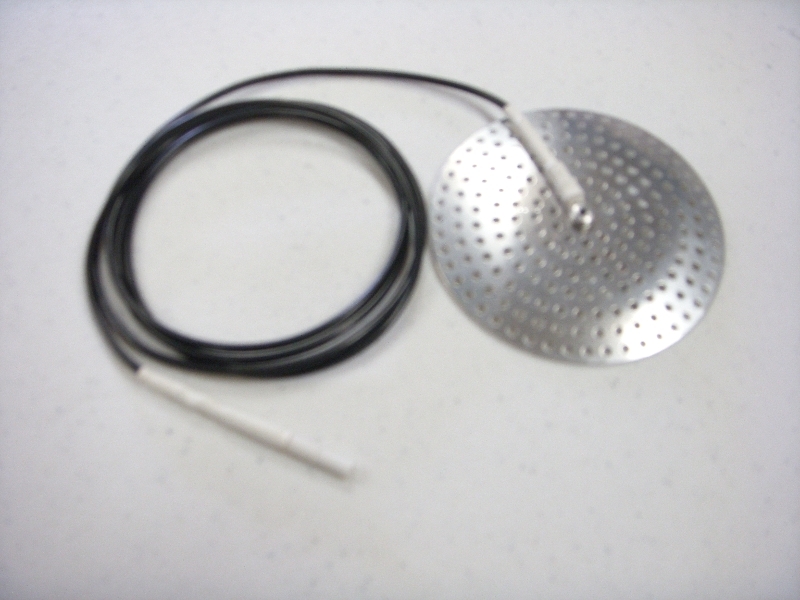 This can be ideal for application those special wounds and lesions which would be harmed or disturbed by the removal of an adhesive electrode. 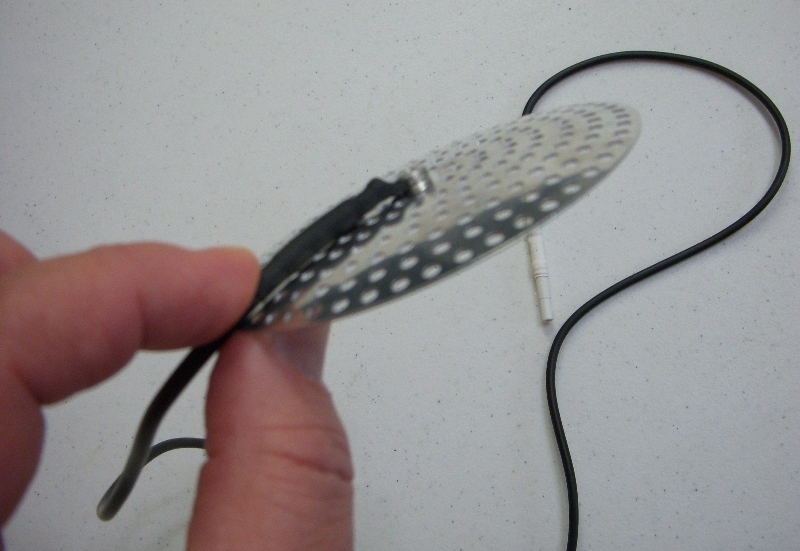 * A heavily “salt water” saturated cloth makes for an excellent conductive barrier between the metal electrode and the sensitive target area.